In 1999, Liping Ma published her book Knowing and Teaching Elementary Mathematics: Teachers' Understanding of Fundamental Mathematics in the United States and China, which probed the kinds of knowledge that elementary school teachers need to convey mathematical concepts and procedures effectively to their students. Later that year, Roger Howe, a member of the U.S. National Commission on Mathematics Instruction (USNC/MI), reviewed the book for the Notices of the American Mathematical Society, concluding that it 'has lessons for all educational policymakers.' 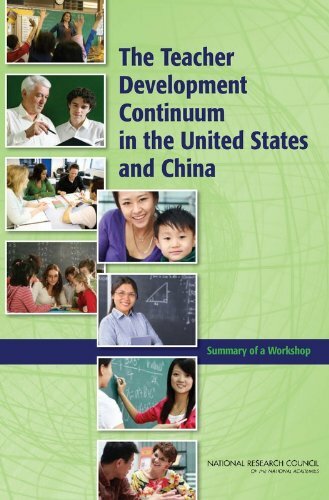 Intrigued by the idea of superrank teachers, the USNC/MI sponsored a workshop entitled 'The Teacher Development Continuum in the United States and China'. The purpose of the workshop was to examine the structure of the mathematics teaching profession in the United States and China. The main presentations and discussion from the workshop are summarized in this volume.